Why See Colorado Symphony Orchestra - Movie at the Symphony: Amadeus? Revisit the Oscar-winning masterpiece Amadeus at the Boettcher Hall this January, with the Colorado Symphony Orchestra playing the score live in accompaniment. Directed by Milos Foreman, Amadeus is a sly look at the life of Mozart, told from the point of view of arch rival Salieri. 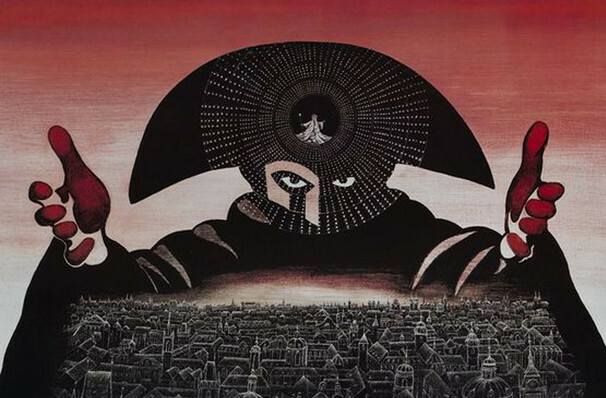 A good composer but not a great one, Salieri is deeply envious of the young composer's innate talent, a jealousy compounded by the fact that he is both brash and vulgar. Salieri longs for Mozart's downfall, but cannot help to also fall in love with the glorious music he creates. Featuring career best performances from Tom Hulce as Mozart and F. Murray Abraham, the movie won an incredible eight Academy Awards, including Best Picture, Director and Actor. Sound good to you? 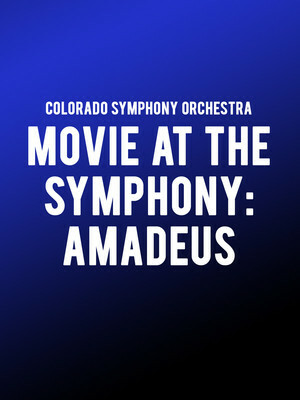 Share this page on social media and let your friends know about Colorado Symphony Orchestra - Movie at the Symphony: Amadeus at Boettcher Concert Hall. Please note: The term Boettcher Concert Hall and/or Colorado Symphony Orchestra - Movie at the Symphony: Amadeus as well as all associated graphics, logos, and/or other trademarks, tradenames or copyrights are the property of the Boettcher Concert Hall and/or Colorado Symphony Orchestra - Movie at the Symphony: Amadeus and are used herein for factual descriptive purposes only. We are in no way associated with or authorized by the Boettcher Concert Hall and/or Colorado Symphony Orchestra - Movie at the Symphony: Amadeus and neither that entity nor any of its affiliates have licensed or endorsed us to sell tickets, goods and or services in conjunction with their events.